What is the fastest car in the world? Well, currently, the SSC Ultmate Aero is fastest car in the world, beating the Bugatti Veyron with a top speed of 257.41 mp/h and a nice Twin-Turbo V8 Engine with 1183 horsepower. 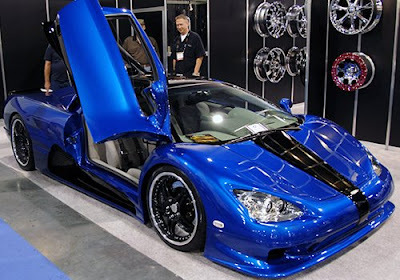 An American company Shelby Super Car made a super car which is known as SSC Ultimate Aero. At present this car is the only car in the world which holds the record of fastest production. SSC Ultimate Aero car is a sport car. Engine of this car is a mid-sized engine. This car has the engine displacement of 387 cu. The engine of this car has the capacity of 6.34 Liters. Engine of this car has been increased boost of 14 PSI. With the help of horsepower you can judge the power of the car. SSC Ultimate Aero car has the horsepower of 1046 hp which can be calculated as 780 KW at 6950 round per minute as well as 821 ft-lb (i.e. 1,113 Nm) at 6200 round per minute. 104 octane gasolines is the limit on which SSC Ultimate Aero car runs. As SSC Ultimate Aero car is a sports car so it is necessary that it must run as fast as possible. Maximum speed of this car is 439 km/h which is equivalent to 273 mph. This speed was recorded in a test in September 2007. Door of any cars give it an extreme look. 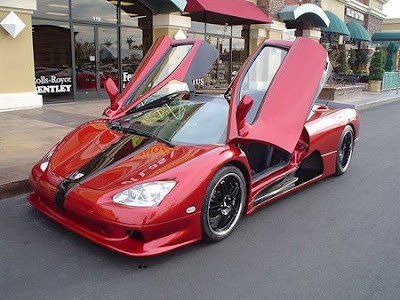 New model SSC Ultimate Aero has butterfly doors. Material of the car is used to give it strength and it gives it a long life. In this car material that is used is titanium which is a very powerful material and gives the long life to car. Acceleration speed of any car allows it to reach at maximum speed in minimum time. SSC Ultimate Aero car has the acceleration speed of 0 to 60 mph in just 2.78 seconds which is really a good acceleration speed in itself. Transmission available in SSC Ultimate Aero car is 6- speed. Transmission of any car allows you to change the gear automatically or manually. This 6-speed transmission in this car was readjusted later to increase the theoretical speed of the car. Wheels allow the car to run on the road with a perfect grip. A wider tire will have the stronger grip rather than a normal tire. SSC Ultimate Aero car’s tire is 19 inch wider at front as well as at rear end. Lamborghini Gallardo Beaten Up - What a waste!